Valet parking is available Friday and Saturday from 5:00pm-Close for $4.00 and self parking also available. 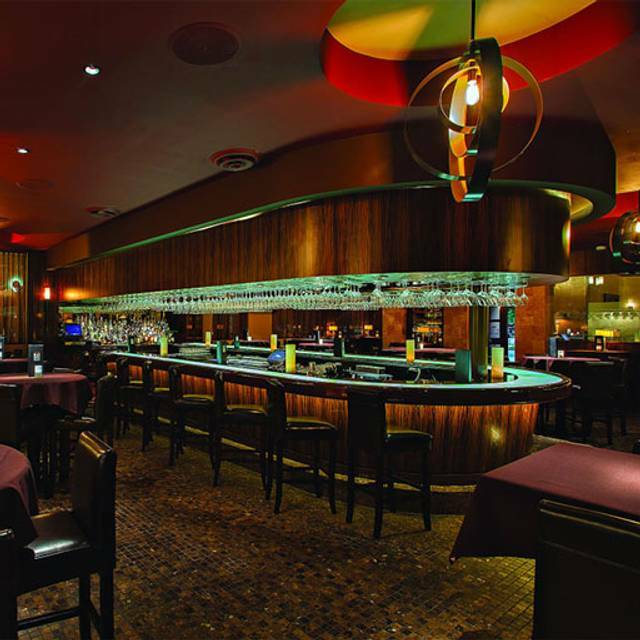 During Perry's popular Social Hour at Bar 79, savor specials on spectacular wines from around the world paired with delectable specially priced appetizers such as Perry's Famous Pork Chop Bites and Beef Tenderloin Sliders. Enjoy Perry's signature Pick Three Mini-Martinis, a flight of three selected from seven featured cocktails with ingredients fresh from the kitchen to the bar. Join us for Social Hour Monday through Friday 4:00pm to 7:00pm and Sunday 4:00pm to 9:00pm. 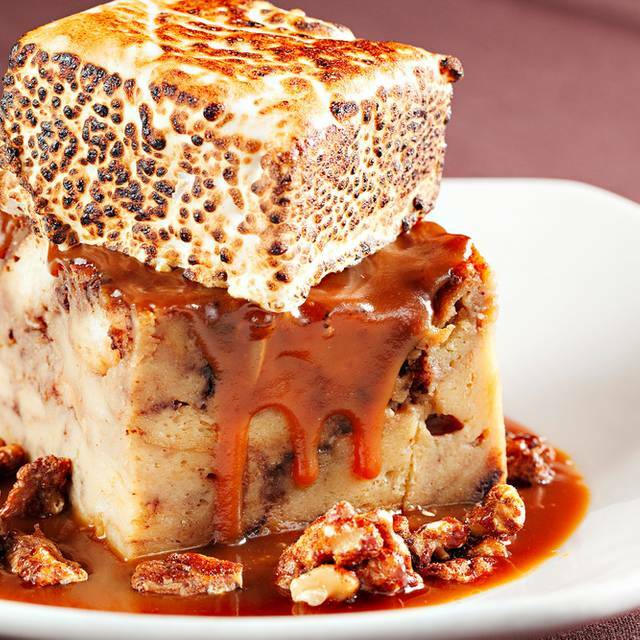 Experience the signature taste of Perry’s Steakhouse & Grille in The Woodlands. 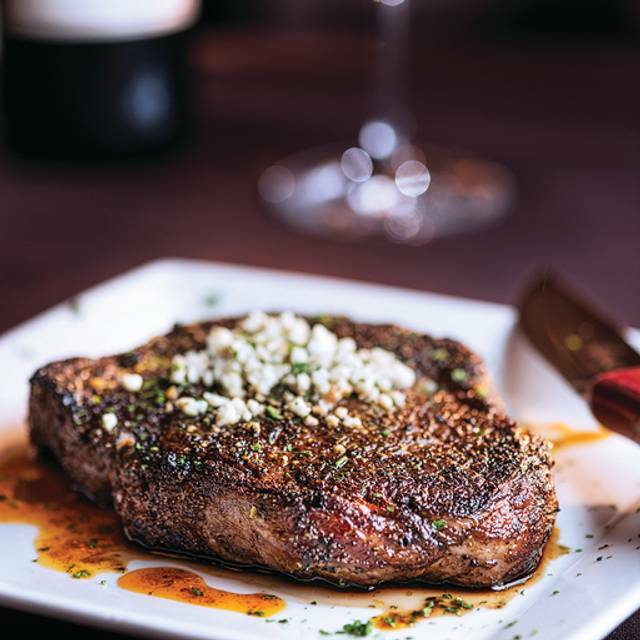 Staying grounded to its butcher shop roots dating back almost 4 decades, Perry’s serves hand-selected, USDA-aged Prime beef and a mouthwatering seven-finger-high pork chop carved tableside. Host an event in one of our vibrant, yet comfortable private rooms, or enjoy award-winning dishes, social hour, or a mixology creation at Bar 79 on one of our live entertainment evenings! 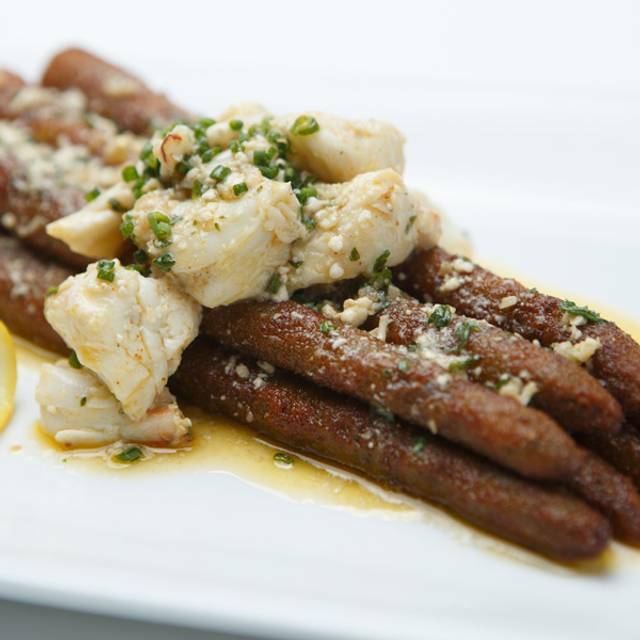 The Perry family has redefined dining with an experience that's truly Rare and Well Done. It was my daughters 18th birthday, we had an amazing time. This visit was outstanding, as usual. Beautiful setting, great service, and great food. This is our go-to place for a nice night out. We have a different Perry's closer to our home, but we come here for superior...everything. This time we shared the pork chop and spinach, split a Caesar salad, and skipped the dessert. We are both in ketosis and wanted to prove we could have a great keto-friendly meal without sacrificing an elegant dinner. Mission Accomplished! Always a pleasure dining at Perry’s. Good food and great service. Birthday for a dear friend. She had to have the pork chop. I actually remember that cut smaller than it is now. Excellent! My husband and I had the best wedding anniversary dinner along with our friends who also share our same anniversary date. Our server made us both feel extra special. Had the Bone in Ribeye, fabulous! Great Scotch on the Rocks was great! We celebrated our anniversary and they all mentioned it, plus had come Rose Petals on the table!! Perry's is just one fine place. The piano in the background, the dimly lit room. Service is second to none and the food was prepared properly. This was just a night out at a restaurant for us. Nothing special. We just came to have a nice meal. Jose, our server, was attentive but not pushy. Happy to split our salad and very friendly. The filet was spot on and so was the kabob. Wine at the appropriate temperature and we were offered our decanter. Why we don't eat more often I just don't know. We will make it a point to be back more often. Great evening! We went for my husbands birthday and everything was perfect!!! Food was delicious, service was excellent. Liked it. Food was good, service was a little slow though. We really enjoyed our food and our server was a delight. Great experience. 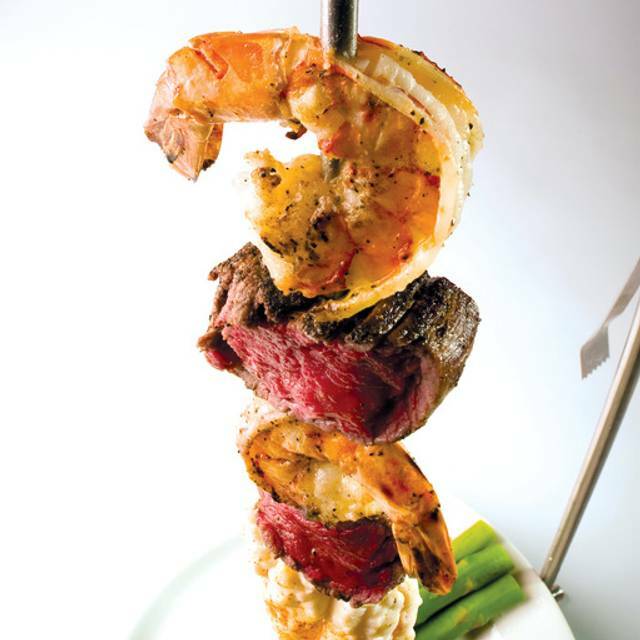 Server Jose was very knowledgeable and gave us very good service. Issue is being addressed by the Manager. Love Perry’s Pork Chop Friday! Love the steak but, the second time in a row that the service was deplorable. 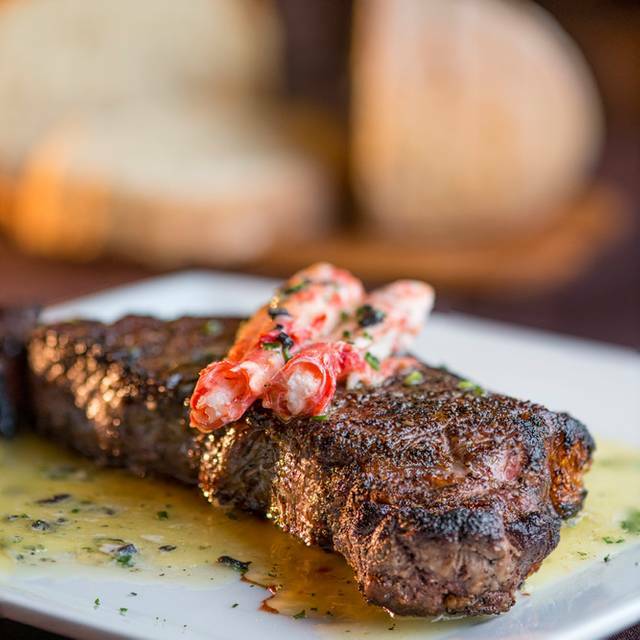 With all the great steak restaurants in the woodlands there is no reason to go here. Our server was a little slow and seemed distracted. The food was good. I was a little disappointed when I got home only to find that my to go box had mashed potatoes but not my steak which I was really looking forward to having the next day. While the server was prompt in taking our order and delivering our beverages, the preparation time took longer than expected. As it got busier, they were not as timely with iced tea refills. Overall, the visit took over an hour for lunch. Normally we love going to Perry’s. It was my birthday so I wanted to go somewhere nice. The waiter was busy so we were almost ignored. I ordered the pork chop that is my favorite and I only get once a year. It was so dry I couldn’t eat much of it. I was just very disappointed. First time ever. Crowded and loud. Food ok. Too much butter on fried asparagus and steak - Filet Perry. Bacon wrapped around filet was not good. Tasted old. All told - not worth the money. 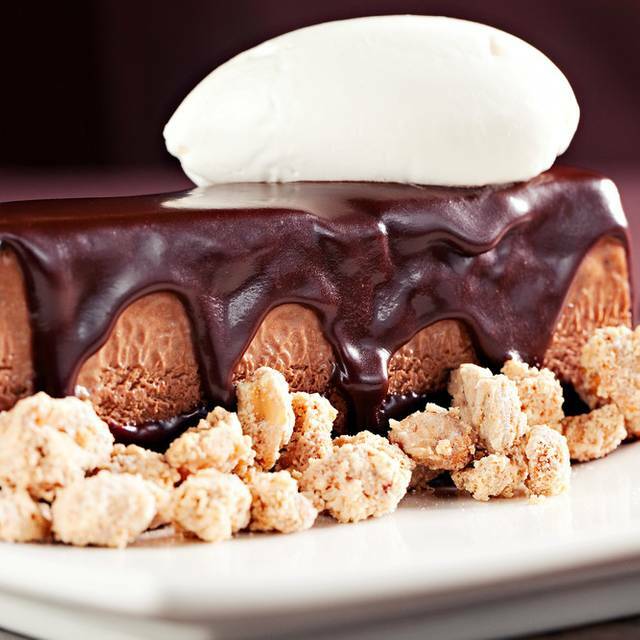 I will be returning to experience Perry's because of it's upscale quality food and service. My wife and I normally visit Kirby's but, Perry's is hands-down better in all categories. It was a great experience overall with my family. Food was, as always, superb. Our waitress was not the best, though. We believe it was because she was relatively new. Although I think they should be trained better; being new should not be an excuse. 1. She did not know what brands of tequilas Perry's offers. And then, when she asked which one I wanted, she said Perry's had it, but didn't. In a nutshell, she agreed on knowing what kind I was talking about, even though she didn't. 4. Waitress did not know anything about the salad dressings, at all. 5. When we asked to buy a container of one specific salad dressing, she brought and charged us for two containers. 6. This last one could be my perception, but it seemed like she didn't know what bison really tastes like. She gave us a very vague description of it, while saying it was marbled meat, which I am positive it is way leaner than beef. As I mentioned, overall was great and we didn't give our waitress any hard time for the mistakes committed, but I like giving thorough reviews because I know they are helpful to the reader. Great service, they put rose petals at our table and even gave us dessert on the house to celebrate our anniversary. Waitress was extremely knowledgeable and she knew her whiskey too! Great place but food bit salty. Waiter Reed was very good and atmosphere is good. Creme brûlée is heaven send. I was in the area for work and decided to treat myself to the Friday Lunch Pork Chop. The hosting staff was very accommodating when I realized underestimated my drive time there and needed to change my reservation. They changed my reservation without issue. My server Paul was excellent! He was very punctual, prompt, and attentive, without being overwhelming. The food was great!!! This by far was the best pork chop I’ve had from Perry’s. 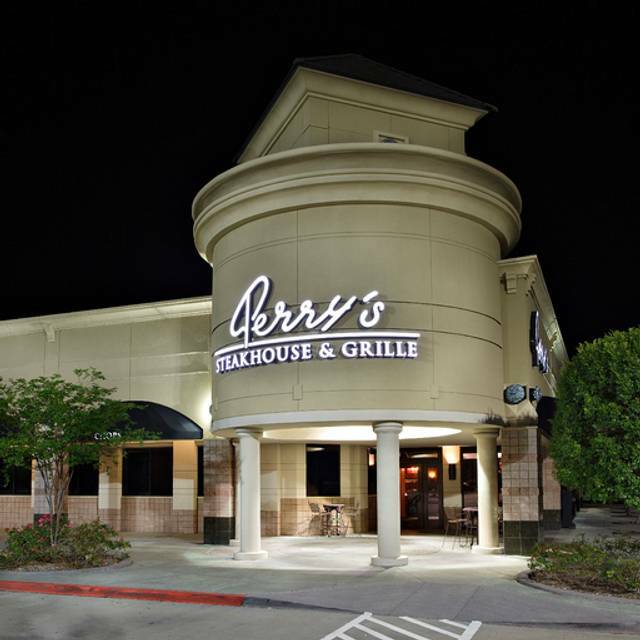 Thanks Perry’s Steakhouse - The Woodlands! My treat was just that... a treat. We had the pork chop, a bit DRY or overcooked not sure. The asparagus was Very greasy should have asked for it grilled, otherwise, The Mashed potatoes, outstanding the creamed spinach, fantastic, the bread, wonderful and the service was perfect. Usually the service is outstanding. Pork chops way over cooked. Ask for a couple of extra applesauce never got them. Waiter was delightful. Not such a good experience for the two guests we brought. Ask for a special request for a table up front due to a guest that had walking issues due to a stroke. Open table did NOT pass this on to the restaurant. Perry's tried to accommodate. Very disappointed. Excelent!!! My favorite place in the woodlands!!! Food was excellent. Our server was very pleasant and made sure our food was ready. My wife and I were very impressed and will definitely be returning soon. Dinner is not cheap, but the quality is consistently perfect, service is awesome, ambiance is lovely. 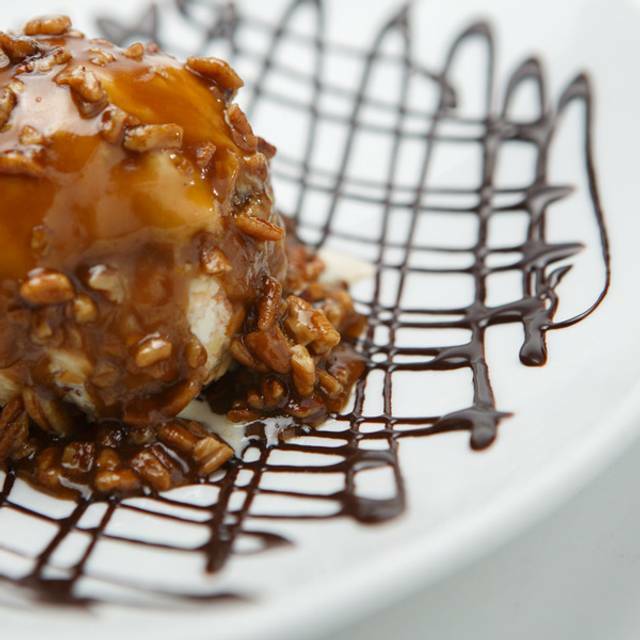 Perfect for just a great meal or a great event! The service was attentive, professional and friendly. Our meals were well-prepared, except for the Bronzino baked in salt was mushy. Jennifer took wonderful care of our table and guests and we look forward to our next visit for the fabulous salads, filet, sea bass, pork chops and spinach. Service took too long and waitress would disappear. However, the food was delicious and would highly recommend it. The food was incredible and so was the wait staff. We had a fabulous evening celebrating a big bonus and job change. Amazing food and atmosphere. Highly recommend! We were there for a friends 25th anniversary. It was their first time. Their pork chop was really dry and got crab covered veggie and he said the crab was not good. Food was excellent and the service was too! Never disappoints. For as long as we have been coming here this was the first time I had a bad pork chop.....it was so so dry I couldn't hardly eat it.....otherwise all was great as usual !! !